You are never going to want to buy a lip scrub ever again. Why? Because they are way to easy to make! 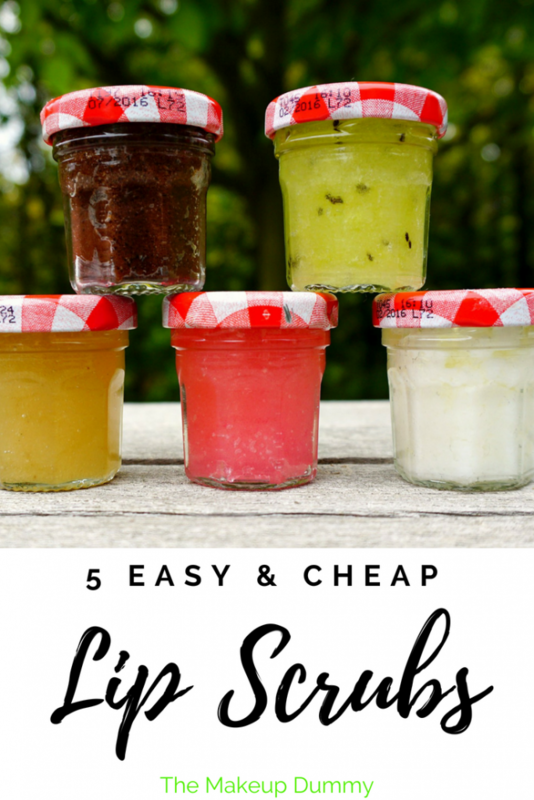 Follow these easy step by step tutorials to make 5 diy lip scrub recipes yourself for the price of only 1. 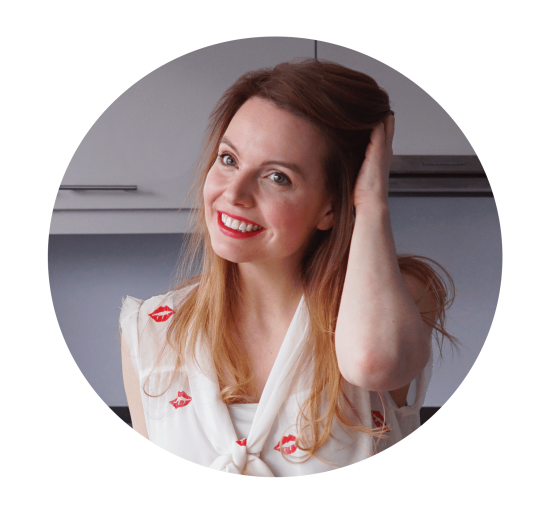 In this post I share 5 of my all time favorite DIY lip scrub recipes. They are unbelievably easy to make, you can whip them up in no time and all you need is a few ingredients from your kitchen. 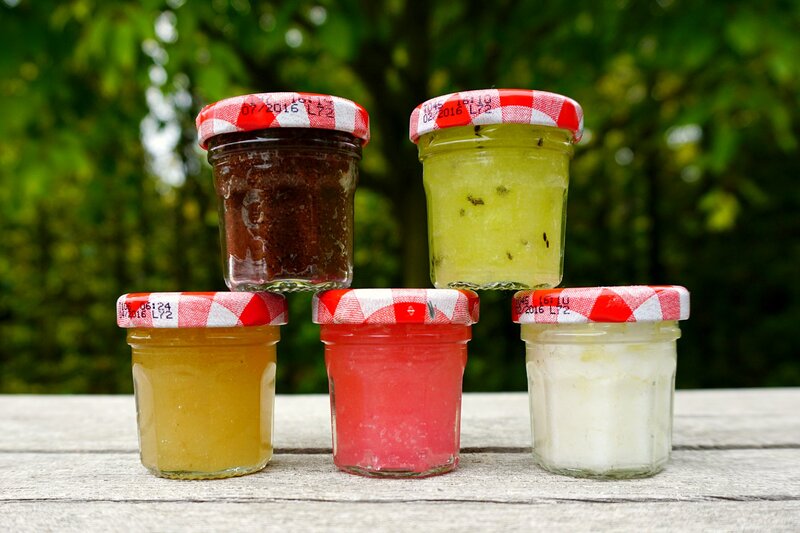 These lip scrubs are made fresh with natural ingredients, including food items such as honey and fruit. This gives them a short shelf life. It’s best to use your DIY lip scrub right after you make it. 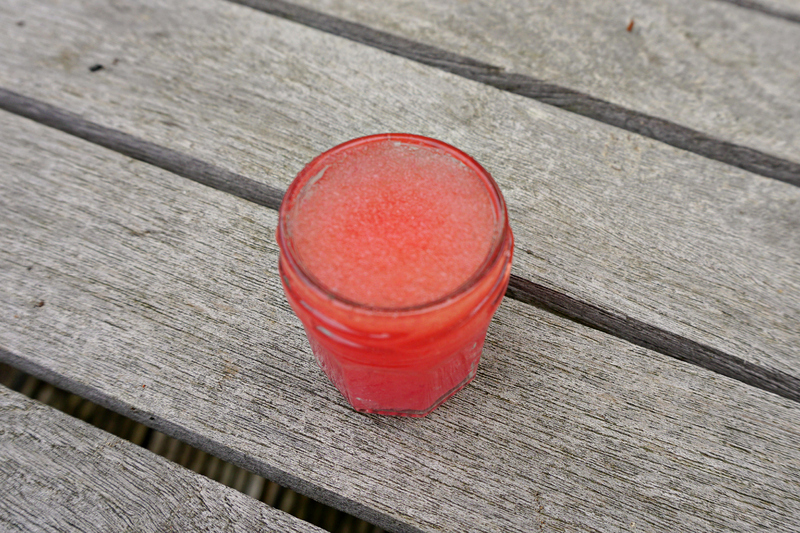 If you want to keep any leftovers, store your DIY lip scrub covered in the fridge and use up within a couple of days. 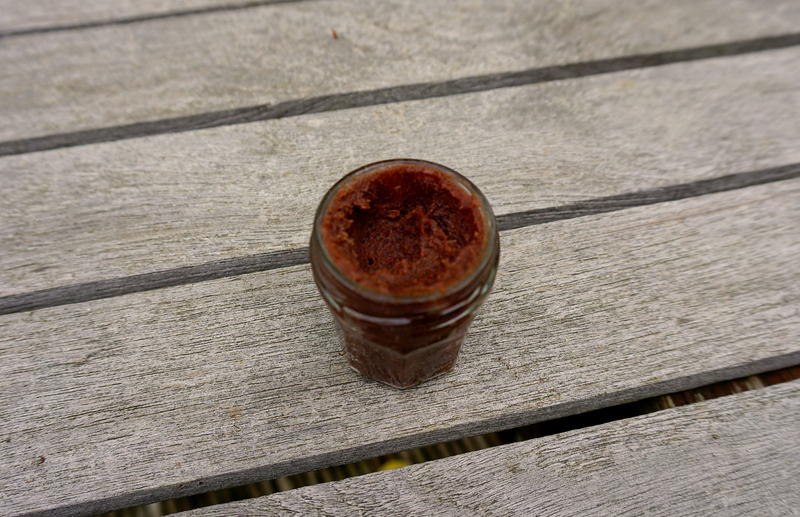 If you want a DIY lip scrub with a longer shelf life, make lip scrub recipe number 5 called ‘Chocolate butter’. Make sure to keep all water out of your container. 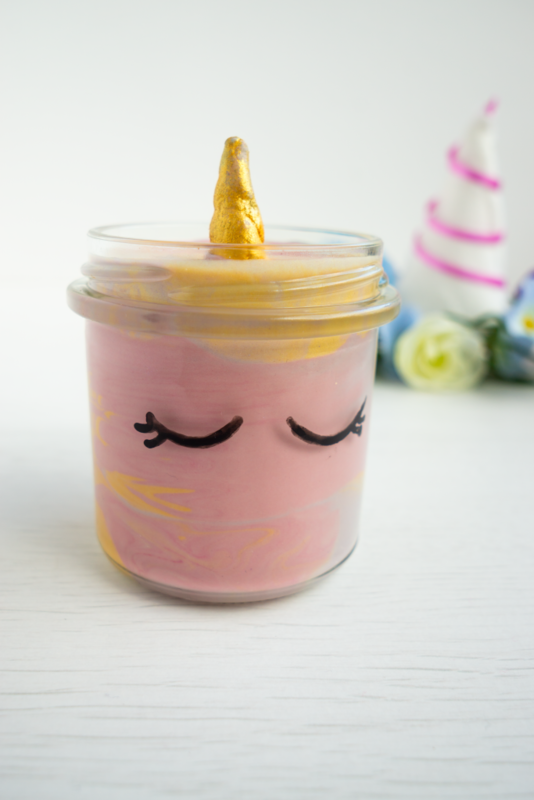 This easy recipe is inspired by Lush. Their lip scrubs often use jojoba oil and caster sugar as a base. That’s it! Mix 1 tablespoon of jojoba oil with 1 tablespoon of caster sugar. Caster is extra fine sugar, and I like that it’s so gentle on sensitive lips. But you can also use regular sugar if you like! You can add a little more sugar or oil to get the consistency you like. You can also substitute the jojoba oil for any oil you like. I recommend olive oil as a cheap, convenient and easy alternative! To make your DIY lip scrub a little more fancy, add a drop of food coloring. Start with one and keep adding more until the color is perfect for you! Ah, honey. What aren’t you good for. 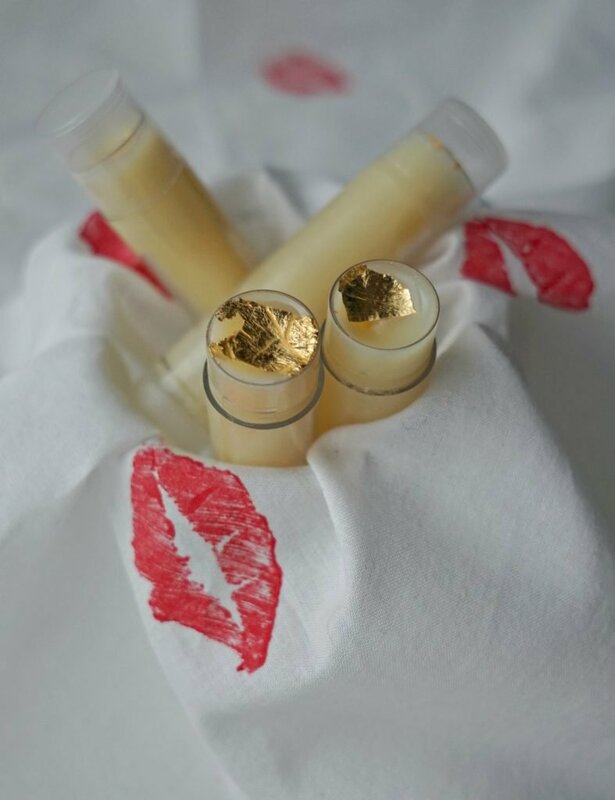 This moisturizing treat will leave your lips feeling supple and smooth! This time I used cane sugar, but regular sugar works just as well. I added half a tablespoon of argan oil, but you can use cheaper alternatives like olive oil. Now it’s time for le moment suprême, adding the honey. Stir in half a tablespoon of the liquid gold. And you’re ready to scrub! You’ll feel like you’re scrubbing on the Caribbean with this lip scrub! Melt your coconut oil in a double boiler or over a candle. The lazy type, like me? Heat your coconut oil in the microwave for 15 seconds at a time until it has completely melted. Add your sugar to the oil. I went with regular sugar for this one. Stir ’em together and then wait for the coconut oil to solidify. 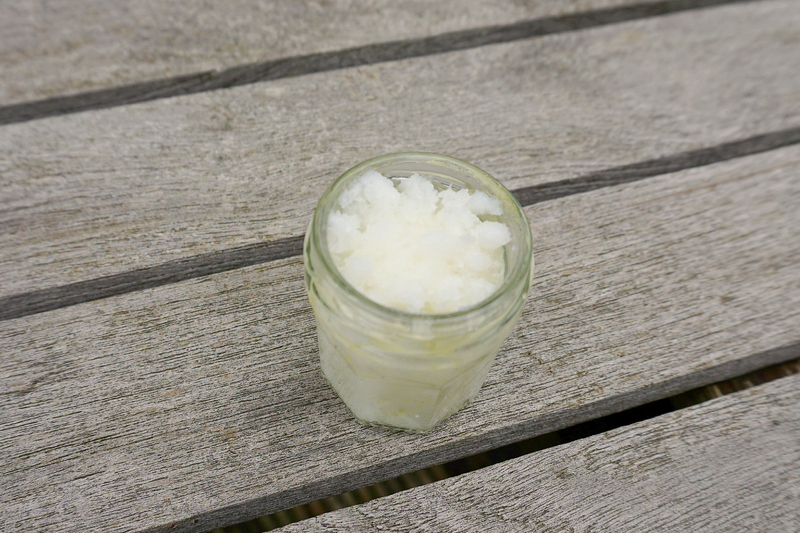 It might look too liquidy at first, but as the coconut oil solidifies so will your scrub. Add 1 squeeze of lime juice. If you’re keen on precision, it equals about 1 tablespoon. A very simple lip scrub with a surprising addition. 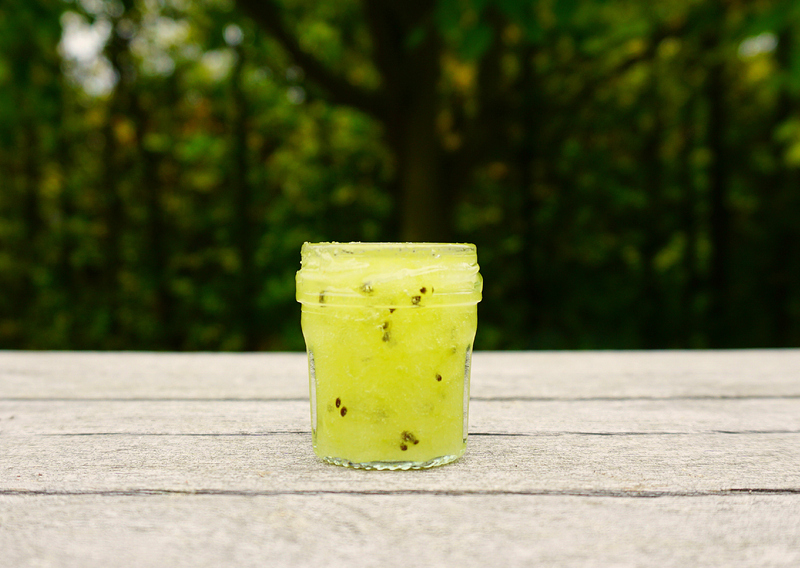 Kiwi is a great natural exfoliant and it looks pretty in the jar too! Mix your sugar and oil. I used grape seed oil to stay in the fruity theme. But you can use whatever oil you like, such as olive oil. Now it’s time for the magic ingredient. Add 1 tablespoon of kiwi pulp to the scrub. Make sure to smush the kiwi first with a fork. You can experiment with other great exfoliating fruits, like strawberries or pineapple! 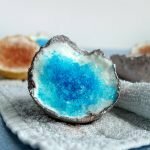 My personal favorite DIY lip scrub! Pucker up for this luxurious butter nutter chocolate scrub! Mix your sugar and Shea butter in a small mixing bowl with a spoon. I used brown sugar but you can use whatever kind you like. Next add your oil to the mix. I used walnut oil but feel free to use olive oil or any other kind you like! Last but not least, the cocoa powder. Add 1 teaspoon for a chocolate deluxe treat! Mix it all together with a spoon and you are ready. 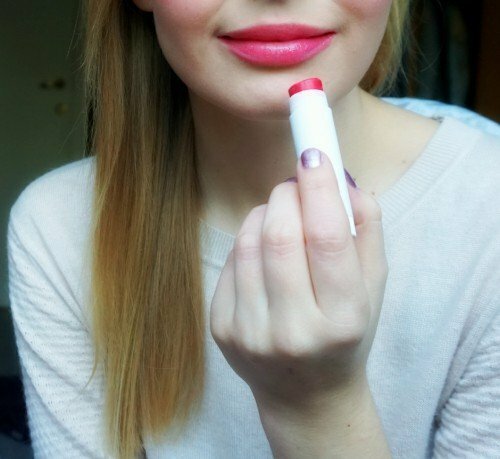 Enjoy your soft and smooth lips! 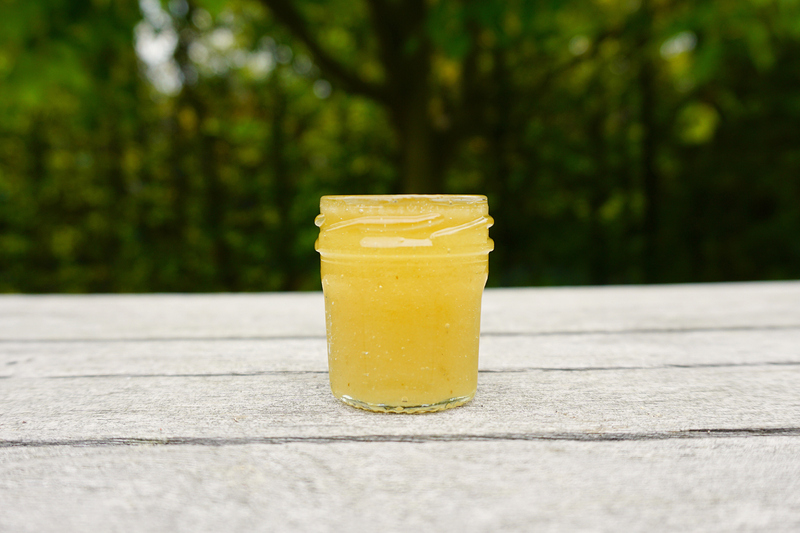 What’s your favorite DIY lip scrub? 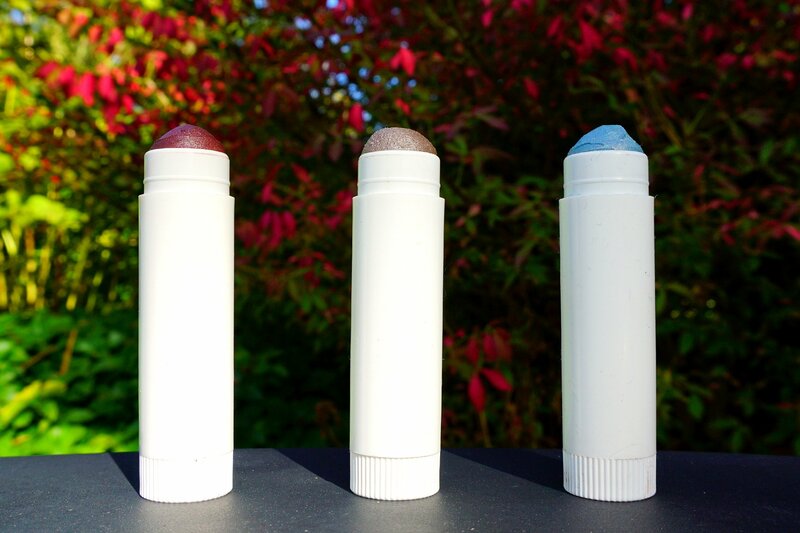 Make your own tinted lip balm with just a few simple ingredients. Most lip balm recipes call for beeswax. If you’re looking for an easy homemade vegan recipe this is the one you need. Make your own body lotion with just a few simple all natural ingredients! Where do you find the jars ? I used to have some that came with jellies but I gifted them. In the chocolate receipe list you say 1/2 tbsp of oil… but in the description you said you used 1 tablespoon. Could you please confirm which needs is it? I’m dying to make this tonight! Great post! You’re right! I updated the instructions 🙂 I just made a new batch to make sure and I’m falling in love all over again. Enjoy! Hi! These look awesome! I’m dying to try the kiwi one, and I plan to make 3 of them for my friends. Can I know how long this lip scrub will last since it’s fruit-based? Thanks! The kiwi one is my favorite too! I’m not sure what the expiration date would be. I would not keep it for more than 1 to 2 days and keep it in the fridge. If you want a lip scrub with a longer expiration date I recommend making one of the other scrubs though. For the lush pink lip scrub, am i able to use sweet almond oil instead of jojoba oil? Yes! I love sweet almond oil!